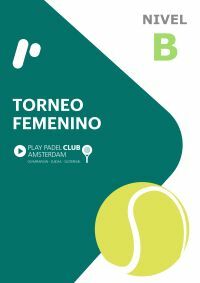 Super Saturday Speed Tournament at Play Padel Club Sloterdijk. Minimum of 2 games based on your level. You can enjoy a tournament in three categories. Water is provided and there will be drinks afterwards. ¡Enjoy the game!